If your staff training includes training courses you will want quality training delivery. 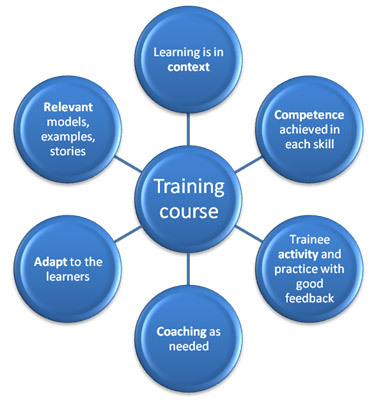 PACT can train your trainers and/or deliver training for you. We will develop training that exactly meets your requirements and deliver it for you, or train your trainers to deliver the program. We will even co-run courses with your trainers. Your trainees will learn quickly with PACT's creative and experienced training consultants. PACT ensures a number of accelerated learning principles are included in the design and delivery of each training course.